​​​​​​​​​​Charles Stockbridge is a self-taught artist residing in Scituate MA with his three children. Antiques and fine art have been a life long pursuit stemming from his family's antique business and his mother's interest in Americana, reverse glass painting and tole Painting. His grandfather, Frederick W. Stockbridge was an accomplished Marine Artist and professional illustrator, active in the early to prewar 20th century. At an early age, Charles was inspired by the bold images and deep palettes of illustrator N.C. Wyeth, genre painter George Caleb Bingham, Jan Vermeer and Plains Indian painter George Catlin. Today his love for maritime scenes and ships hark back to masters, Martin Johnson Heade, Fitz Hugh (Henry) Lane and ship portrait painter James Buttersworth. Contemporary masters, Sergio Roffo and William Davis are his current mentors and source of inspiration. "Light, luminism, atmosphere are critical. 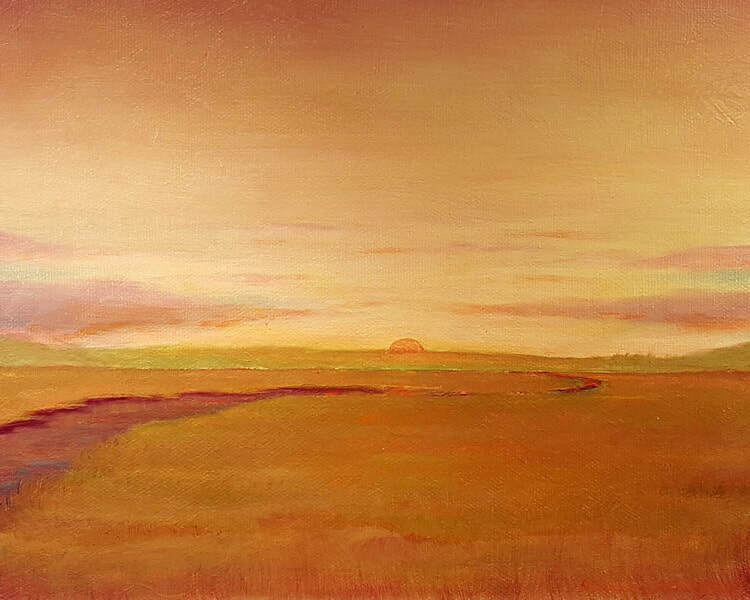 I know I have nailed a painting when I capture the subtle nuances of a Maine sunrise or the gloaming on a salt meadow or the perfect light of the Vineyard or Nantucket. This evolves in to the spirituality that I hope comes across in each piece. I love to paint pleinaire and this gives me the chemistry to complete my studio work." Mr. Stockbridge is a Past President of the Scituate Arts Association. His paintings are exhibited in Scituate and Hingham art galleries. His work has been juried and awarded at various art shows and are held in individual and corporate collections across the United States.